Mary Gauthier De-Romanticizes Romantic Love Trouble & Love is about a relationship that went bad. "I think that this is one where Mary finally gets the lesson," Gauthier tells Fresh Air's Terry Gross. "Music and books, I think, were the two things I trusted the most as a child," Mary Gauthier says. 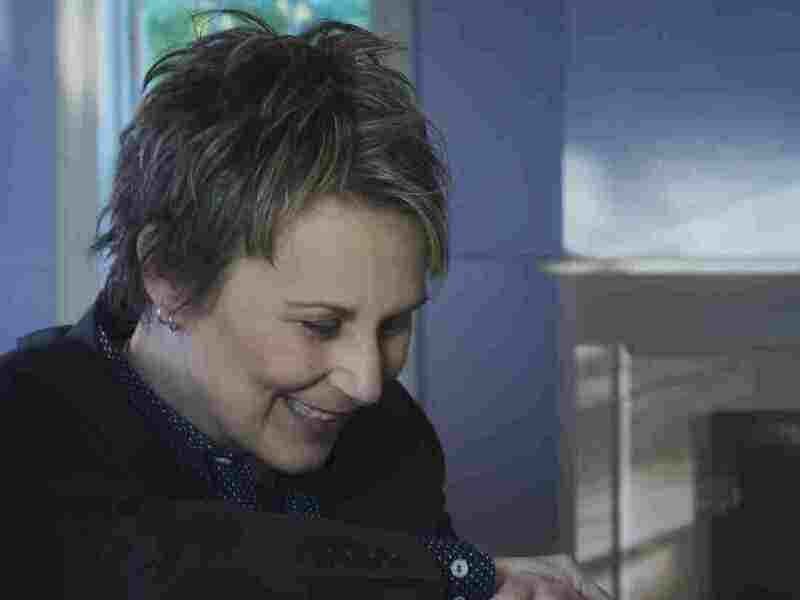 Mary Gauthier started gathering material for songs early in life. She ran away from home at 15 and entered her first stint in rehab. But it wasn't until she was in her mid-30s that she became a singer and songwriter. Once she got started, songs poured out that told the story of her life as a drunk and addict, a chef and restaurant owner, an androgynous lesbian, and an adoptee who spent the first year of her life in an orphanage. Her new album, Trouble & Love, is about a relationship that went bad. "I think that this is one where Mary finally gets the lesson," she tells Fresh Air's Terry Gross. "I think the lesson is that romantic love will not save me; that hanging my desire for a family and connection on romantic love has not been a successful strategy for me." Gauthier joins Gross in the studio to talk and play songs about drinking, the drag queens that taught her how to dress and her search for her birth mother. "I finally get it — that connection is something much deeper and broader than the material that most pop songs are made of. Popular radio is about the first six months of love, right? Or the first 90 days. I long for real and true connection. It has been the theme of all the songs in my whole life. "I feel like I've been running around most of my life with a plug, trying to find the socket to plug it into, and I'm tired now. I'm going to do it differently. I have de-romanticized romantic love. I think it's that simple and that complicated." "Music and books, I think, were the two things I trusted the most as a child — songs and books. I leaned into music really young. Radio used to be good, you know? Those songs spoke to my soul. There was such a connection between me and so many of those songs on the radio back then. Songs, especially lyrics, have always been really important to me. "I feel like I heard truth there. And as a kid and as an adult, but especially as a kid, I needed to hear the truth so bad. I grew up in a situation where it felt like an emergency all the time. My father had alcoholism. My mom struggled with — I don't know what to name it, but there was a huge amount of chaos and turbulence, a huge amount of pain in that house. I was looking for something that felt like me, you know? Plus, I was adopted, and I think adoptees are inclined to do that anyway — to look for things in the world that reflect them." "I didn't think a lot about getting sober. I got sober out of the blue. I was arrested for drunk driving opening night of a restaurant that I was a partner in. And on the floor of the jail cell, I left my body for probably a millisecond and looked down on myself and saw something pitiful. And it was that moment where the grace of God could enter. Grace, that unmerited gift, I received it. I saw my condition as hopeless, and in that moment of surrender, I became willing to ask for help. And it changed everything. It means more to me 24 years later than it did at the time. I look back on it now with reverence. What it showed me was that if I get out of the way and humble myself and ask for help, help will arrive." "I was in the orphanage in New Orleans until I was almost a year old. I don't think I ever got held by my mama, so that was completely and utterly traumatic. I think it was trauma from the first breath, and I think I've spent my whole life trying to heal from that trauma. So it shaped my brain. "I did call her. She didn't respond well. There's not been a reunion. She won't tell me the circumstances. I do know this: She wasn't married, it was the Deep South. It was 61. Back then, that was the most shameful thing that could happen to a woman." "I felt a tremendous amount of empathy for her. Until I had that 10-minute conversation, I thought I was the only one traumatized. The only way I had the courage to make that phone call, the only way I could do it, was to make it not be about me. I had to get in my head, 'I'm calling this woman to thank her. And I'm thanking her for bringing me into this world, because I want to be here.' Once I got to that, then I could dial the number. I couldn't get to it. It took six months to call the number once I got it. I didn't understand that she was utterly traumatized, too."